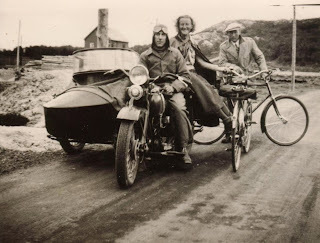 This local Hero seems to impress the lady with his sidecar equipped VL. The owner of this picture informed me that the Harley guy was called Mr. "Kilowatt" as he was working as an electrician. Note: this bike have the two seated sidecar, that is biig!